As you read this I shall be on my way to Japan. Hopefully the cherry blossom will be in bloom and I will come away with heaps of photos to work from when I get back. I may also do some sketching while I am there. 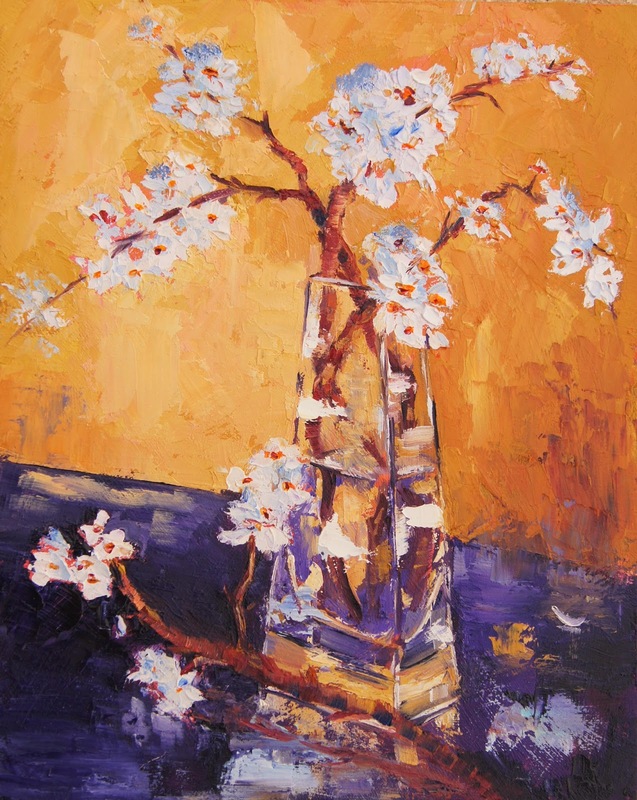 To get me in the mood, I cut some of my almond blossom an placed it in this vase. The vase is from a set of three, all slightly different but all with odd angled sides. Talk about making things difficult to paint! This painting is not quite finished - I still have to work on the branch on the table and, now that I see the photo, alter the stem on the left.